I often get lines from this particular song stuck in my head, so it was shoe in for today's challenge. 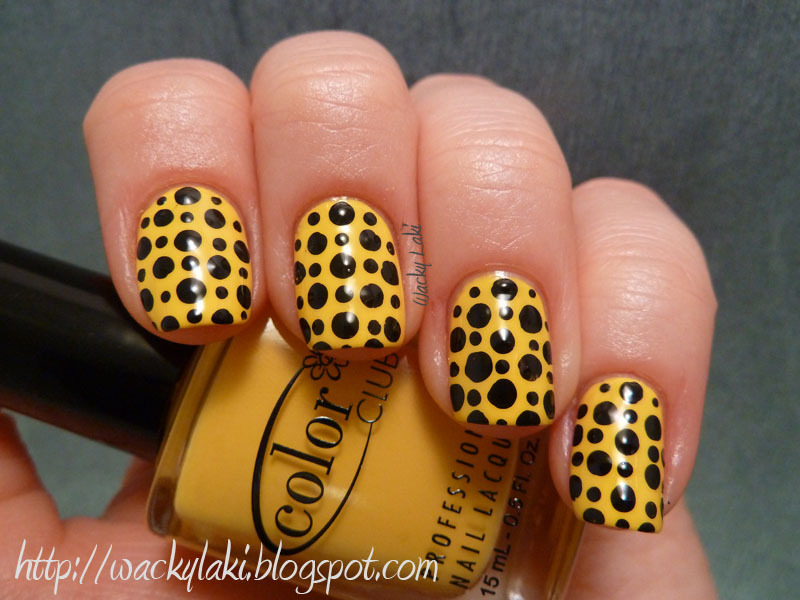 The challenge was to be inspired by a song and I chose the "Itsy Bitsy Teenie Weenie Yellow Polka Dot Bikini" for my inspiration. An adorable song about a shy girl that is afraid to be seen in her new bikini. Good job girlie! So cute! frkn cute.. 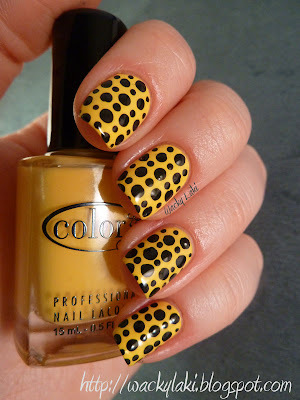 I would sooo wear this mani out in public! OMG I love this!!! That base coat color is killer!!!! I love theese :O !! Wow! 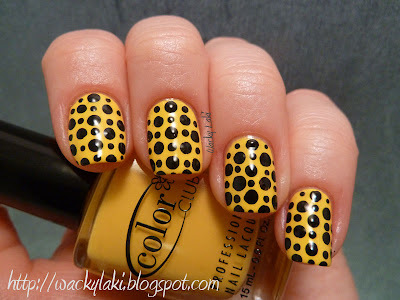 The song could also be called "yellow polka freehand dot perfection"
I love the mani (and the song)! So cute and great song choice! Не могу подобрать слов, чтобы выразить своие восхищение! Труд проделан нереальный, ты кудесница!